The Bank of England meeting concludes a run of major central bank meetings over the past fortnight. The BOE is widely expected to join the Bank of Canada in raising rates. The Federal Reserve and the ECB were content to do and say nothing new. The Bank of Japan signaled its willingness to accept greater volatility in its 10-year yield, which also currently means a steeper yield curve, and made small adjustments to minimize some of the unintended consequences. By doing so, coupled with its forward guidance, the BOJ underscored its commitment to maintain its broad course indefinitely. However, the BOJ surprised investors today by buying 5-10 year bond even though the 10-year yield was well within the band at around 14.5 bp. The BOJ bought about JPY400 bln (~$3.6 bln). There had been some talk that the BOJ would slow the rise in yields if they moved beyond 15 bp. The purchases were also unusual in that 1) it was not conducted at a fixed rate as its other defensive operations and 2) it occurred on the same day that the MOF sold bonds of the same maturity, something the BOJ had indicated it would avoid. The BOJ is to buy bonds tomorrow are part of its pre-announced schedule. The dollar has been confined to about a quarter of a yen range above JPY111.50. There is a JPY111.75 option for $435 mln and a JPY112 option for $1.8 bln that expire today. The 10-year JGB yield is little changed from yesterday at 11.5 bp, despite the intraday volatility. China signaled with its fiscal and financial support that it would try to offset the economic impact of the US tariffs. In a dialectic way, this is an affirmation through negation, which is to say, that China by seeking to offset the impact, Chinese officials recognize that the trade pressure will remain. The reason it will remain is that China will not capitulate. To the extent that the US trade team has experience, it is with Japan in the 1980s. What worked on Japan will simply not work on China. There are two main reasons. First, the US had more points of pressure on Japan, including but not limited to defense. Second, the US companies did not have a much direct investment in Japan. Foreign companies, in contrast, including US companies, played an instrumental role in Chinese economic development since the early 1980s. China is not only the largest trading partner for many Asian countries and emerging markets economies more broadly, but it is the largest or one of the largest markets for US icons like GM, Apple, Starbucks, and Boeing. If a couple of aspirins don't get rid of your headache, will half the bottle work? US negotiators claim to be surprised that China to not capitulate to a threat of 10% tariff on $200 bln of Chinese exports. Trump threatened a tariff of $500 bln of Chinese exports, which is practically all the US imports from China. Do US officials believe that raising the 10% tariff to 25% will force China to give in to US demands? Investors so far do not seem to be reacting consistently on a macro level to the trade tensions, but individual companies that could be hurt seem to have been punished by investors. The July manufacturing PMIs were mostly softer, and it is easy to draw the narrative line to connect it with trade. Most economists recognize that a number of one-off factors probably boosted US growth to 4.1% in Q2, Annualized quarterly growth above 4% has been recorded in at three other quarters since the end of the Great Recession Even with the debt-financed stimulus, forecasts for Q3 are for a return toward the recent average of 2.5%, which is both the eight- and 20-quarter average. That said, the Atlanta Fed's GDPNow begins August seeing Q3 tracking 5%. Say what one wants about the shift in the Fed's characterization of US growth as "strong" instead of "solid," an apparent hat tip to the Q2 GDP, but expectations for Fed policy has not changed. Given that September meeting is late in the month, the October fed funds futures contract offers a cleaner read, and it was unchanged at 2.145%, unchanged from last week and half a basis point lower than on Tuesday. The January 2019 contract, which offers a cleaner read on the December contract, implies half a basis point less than the previous pre-Fed and end of last week. Nearly everyone expects the BOE to hike rates today. Sterling could fall more than a cent if the BOE officials surprise the market with a stand pat decision. 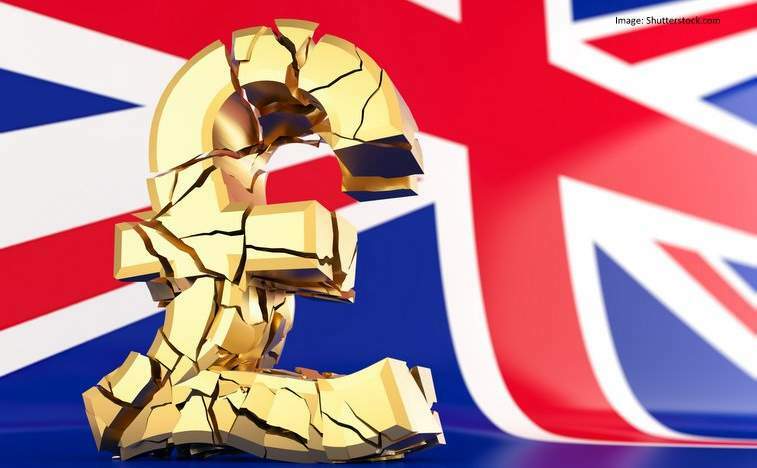 A unanimous decision would the most support for sterling but barring a surprise, the market's reaction will be a function of the headlines from the minutes, which are released immediately, and the quarterly inflation report. In May, the BOE shaved the inflation forecasts for this year and the next two by 0.1%. It also cut this year's growth forecast to 1.4% from 1.8% in February. The BOE projected three hikes over the next three years. The BOE says that it is incorporating market expectations but the two are not independent. Investors are trying to divine what the BOE will likely do. Also, investors realize that there will be a new governor in a year's time. After a disappointing manufacturing PMI, the UK's construction PMI surprised on the upside (55.8 vs. 53.1 in June). The service sector PMI will be released tomorrow. While the euro has fallen each day the ECB has met this year, sterling's performance on BOE meeting days is mixed. It rose in February and June (0.2% and 0.5% respectively) and fell in March and May (-0.3% and -0.2%). In line with the firmer dollar tone, sterling was sold to a nine-session low a little below $1.3070. There is a $1.31 option for nearly GBP600 mln that expires today. Above there, a band of resistance is seen between $1.3120 and $1.3150. The upper end houses a GBP400 mln expiring option and retracement objectives. The 20-day moving average is just above it. The euro too is trading heavily. It slipped a little below $1.1620 to reach its lowest level since July 18. There was only one-day last month that the euro traded below $1.16 and it has not closed below there since last June. Several maturing options that may help reinforce support near there today. There are 1.1 bln euros struck between $1.1600 and $1.1610 that will be cut today. A $1.1625 strike for almost 685 mln euros also expires and another nearly 850 mln option at $1.1650. Depending precisely how the bottom of the pennant is drawn, it appears to come in around $1.1600 today. Equity markets are under pressure today. The MSCI Asia Pacific Index shed 1.25%, the most here in Q2 to close at a two-week low. No market was spared, but China and Hong Kong markets let the carnage, falling more than 2%. The Nikkei and Topix both fell 1% and closed on their lows. European shares are heavy, with the Dow Jones Stoxx 600 off about two-thirds of a percent in late morning activity. Nearly all the sectors are lower but real estate and consumer staples. The benchmark is testing the uptrend line formed last month, and the 20-day moving average both found near 387. Bond markets are mixed. Germany’s 10-year yield is slightly softer, while France is slightly firmer. Italy’s benchmark is under pressure, with yields rising a couple of basis points, while Spain’s 10-year yield is slightly softer. The US 10-year is hovering a little below 3%.